Unlike a lot of racing drivers, Shea Holbrook got her start in motorsports when she was 16, not when she was in the womb. But in the last few years, she's risen from nowhere to a race-winning team owner. And now she's here to answer your questions. Fire away. Shea's name might not be familiar to you, but what she does almost certainly is. 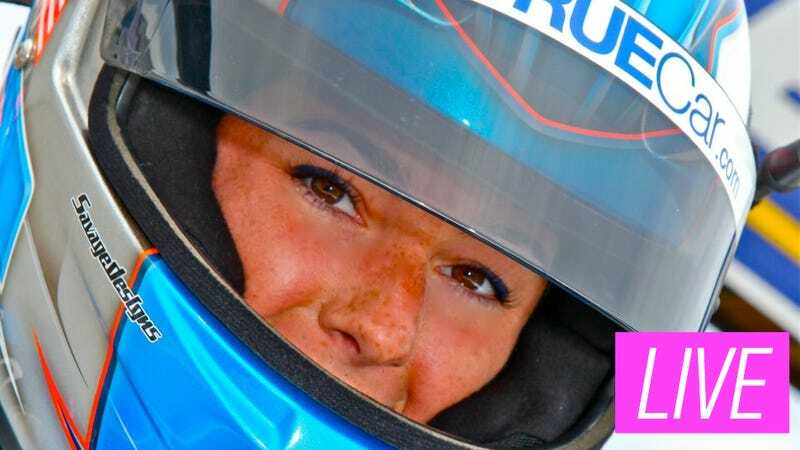 Shea runs Pirelli World Challenge as part of TrueCar's "women empowered" initiative. She won at Long Beach and is a top five finisher in the championship. This year she also became a team owner with four cars running in the Pirelli World Challenge Series. She's got a lot on her plate. And she also has to deal with everything that comes with being a female in a traditionally male-dominated sport. It's always a challenge, since a lot of people make stupid, stupid comments every time a female driver is mentioned. Just look at anything ever said about Danica Patrick, for example. Shea is here for the next hour. Ask away! UPDATE: Shea has to leave, but wants to say thanks for asking all the great questions. Follow her on Twitter (@SheaRacing) and follow her on Facebook because she's giving away free steel ovaries (I was told to write this).